Though relying heavily on guest stars, Entourage Season 7 has been a bit of a rebirth and provided some compelling plot twists: Ari as a potential NFL owner, Drama maybe getting a sitcom and E’s impending marriage/work conflict. The plotlines avoid Vince — a good thing because Adrian Grenier isn’t the greatest. The writers get that viewers are sick of the redundant story: Vince is going to do the movie, Vince is not going to do the movie. 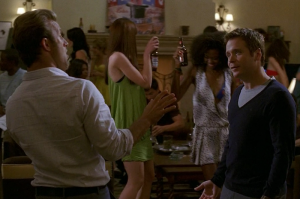 As for product placement, Budweiser is everywhere and it’s absurd. Couldn’t the writers have been a little crafty and written in something about Vince getting a lifetime supply of Bud? That’s the only “plausible” explanation as to why that’s the only beer he has at his house with so many other choices. Who stocks Bud bottles as a go to beer? I’d guess the answer is: hardly anyone. Then to believe that Vince, E, Drama and Turtle drink it without hesitation is kinda far fetched. And to think that model/aspiring actresses do the same is beyond far fetched. Hey look - it's Uncle Jessie! Another funny part was seeing John Stamos aka. Uncle Jessie getting into the act too. Given his ball-buster personality, it seems odd that he didn’t have a comment when presented with a Bud. Nor was he offered an alternative. If I asked a friend if he or she wanted a beer and I came back with Bud, I’m pretty sure I’d get a funny look, if not a prompt for an explanation . I’m ashamed to say that I was fooled into thinking that Tequila Avion was some fictional product, but a little research cleared things up. Tequila Avion is a premium tequila start-up, presumably positioned to compete with Patron. We can only hope that Turtle’s possible involvement in its marketing isn’t a recurring plotline, rendering Entourage an infomercial. That being said, Tequila Avion just got a multimillion dollar round of financing, so who knows. For those of you wondering, Tequila Avion is available in LA and NYC-area at this point. 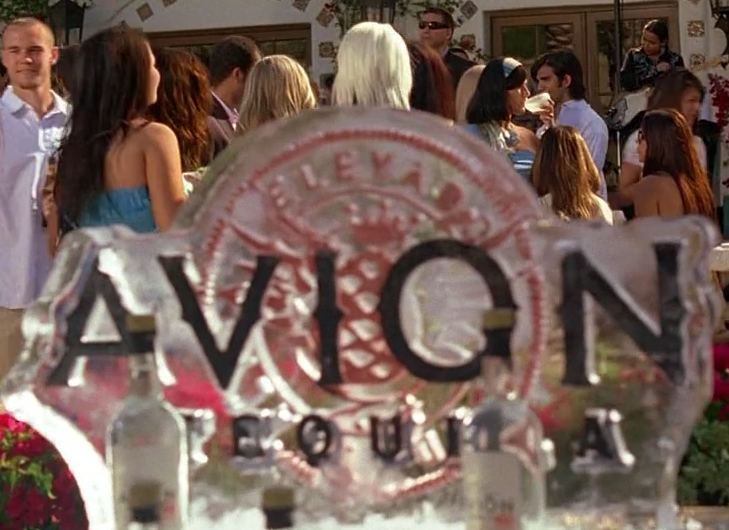 If Avion never returns to Entourage, its appearance was a nice little product placement campaign because most viewers won’t be sure whether it’s real and if they see it at a bar, maybe will try it. And a memo to InBev or whoever makes Bud now: product placement is a good idea, but choose your partners carefully. Entourage’s appalling lack of subtlety makes what you’re doing obvious and destroys the value. Blame Spanx for the Drop in Light Beer Sales? I have to say, the Tequila Avion product placement on Season 7 of Entourage has to be the most appalling thing I’ve ever seen. I thought it was a fictional product until I saw a billboard for it on Sunset Boulevard in Los Angeles, and I almost threw up in my mouth. I can’t imagine being a writer, being told that I have to write an entire sub-plot-as-product placement, doing it, and then being able to sleep at night. Truly abhorrent, and one can only hope it wasn’t a sign of things to come. I have to agree with Andrew who left a prior comment. I think the over the top product placement of Avion on Entourage might be the most disgusting display of selling out a show to date. It really works in opposition to what Avion is trying to create as I would never even want to try the product since it has engaged itself in this ridiculous promotion. Sadly I am sure there are thousands who will fall for this lame attempt at marketing this brand. Oh well, what can you expect since Patron blew up after being in a couple hip hop songs.